In the past 15 years, Pittsburgh has staged an impressive turnaround. The one-time Rust Belt municipal casualty has rebounded into an economic powerhouse and a hub for booming education, software technology and robotics industries. Recent stats show Pittsburgh’s Gross Domestic Product (GDP) was more than $144 billion, which made it the 25th most prosperous city in the U.S.
It’s no surprise then to discover that Pittsburgh’s financial services industry is booming too. 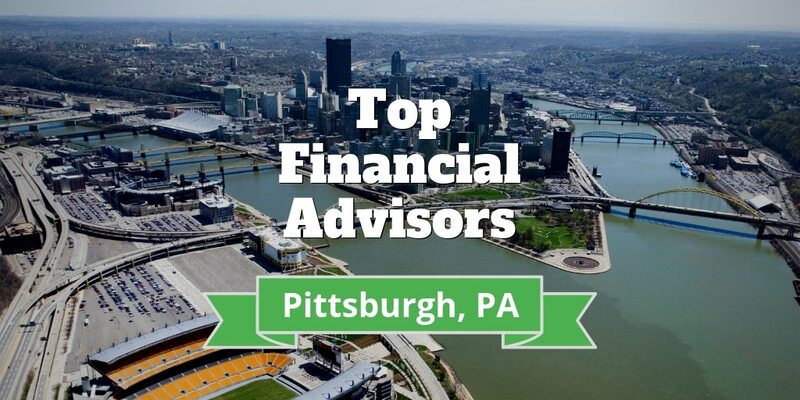 Pittsburgh has lots of financial advisors who offer an ever-expanding portfolio of planning and management services but which ones qualify as the best financial advisors in Pittsburgh PA? We did the homework to save you the time. What Is The Fort Pitt Capital Investment Minimum? How Is Your Money Invested at Fort Pitt Capital? Is Fort Pitt Capital Right For You? Is Fragrasso Financial Advisors Right For You? Is Guyasuta Right For You? Is XPYRIA Right For You? Henry H. Armstrong Associates, Inc.
Is Henry H Armstrong Right For You? CooksonPeirce Wealth Management is a high-end wealth advisory service: The firm does not work with individuals who have less than $1 million to invest. CooksonPeirce takes a strictly quantitative approach when it comes to growing wealth. Investments are made with an eye on total returns through capital appreciation; capital preservation is the prime directive. The firm seeks out high-performance equities and fixed-income securities such as stocks, exchange-traded funds (ETFs) and bonds. It claims to act rationally in the interests of clients, meaning that positions are only maintained so long as stocks keep moving in the right direction, otherwise positions are sold. Portfolios are reviewed on a weekly basis and rebalanced according to CooksonPeirce’s proprietary model. The investment approach factors in elements like earnings, new product announcements, personnel changes, mergers, acquisitions and the like so that no piece of meaningful data is written off as random happenstance. Though prospective clients can choose among conservative, moderate, growth and aggressive management strategies, the majority of CooksonPeirce’s long-term clients stick with moderate and growth investment strategies. Fixed-income portfolios that contain large numbers of bonds set to mature in 12 years or less are staggered to generate steady returns. The firm’s co-founder, Bob Pierce, spent 14 years refining the firm’s proprietary relative-strength stock selection model before he joined with Jane and Don Cookson in 1984 to start the firm that bears their names. Fort Pitt Capital Group’s founders Michael Blehar and Theodore Bovard have consistently been cited among the most productive financial advisors in the state of Pennsylvania according to rankings put out annually by Barron’s. Though the company has more than $2.5 billion in assets under management, the majority of its clients are not high-net-worth individuals but rather individuals who are comfortable and intend to remain that way. Fort Pitt Capital Group’s minimum account requirement is $500,000. Fort Pitt Capital Group was spun off from an earlier entity called Fort Pitt Capital Group, Inc. in 2015. The firm believes that building wealth often calls for a group effort and is open to coordinating the services it offers with other players on a client’s financial team such as his or her CPA, attorney and insurance broker. The company is committed to making sure clients’ portfolios accurately reflect their risk tolerances. To that end, Fort Pitt Capital Group uses distinct strategies for stocks, bonds and asset allocations. Individual equity accounts are customized portfolios consisting of stocks that are hand-selected to provide a competitive market return during market upswings and downturns alike. The firm recommends bond-weighted accounts for clients who are nearing retirement and whose primary goal is asset preservation so that their funds will last them throughout their golden years. Finally, Fort Pitt Capital’s asset allocation strategy relies upon a diversified approach that’s geared to maximizing returns on a long-term basis. Fort Pitt Capital Group prides itself on its high ethical standards and its transparency. Clients’ needs come first, and the firm is committed to acting in clients’ best interests in the long run – even if that may mean saying “no” to a client in the short run. Fragasso Financial Advisors has been singled out for acclaim by heavy hitters such as Forbes, Barron’s, Investment News and The Pittsburgh Financial Times. The advisors and other professionals who work for the company are salaried, which means the temptation to sell products in order to earn commissions does not exist. The firm invites clients to become proactive partners in their investment decisions by providing regular electronic communications as well as ongoing print publications such as the quarterly Investment Outlook and the firm’s proprietary magazine The Advisor. Fragasso has a minimum investment requirement of $250,000. It doesn’t seek to serve high-net-worth individuals; rather, the majority of its clients might accurately be described as in the higher tiers of the middle class. Once a client signs on with Fragasso, he or she is assigned a dedicated team that includes a financial advisor, a portfolio manager and an administrative specialist. With the help of this team, the client will then create an Investment Policy Statement and a set of guidelines, which function as a map to that client’s investment objectives and risk tolerance. Fragasso’s in-house portfolio management team will then design a portfolio whose asset allocations are aligned with that client’s risk and return profile. Portfolios combine individual stocks and options, ETFs, institutional no-load and load-waived mutual funds, alternative investments and variable annuity subaccounts. Once each quarter, Fragasso reviews each client portfolio, rebalancing where indicated, to help ensure that assets are allocated according to that client’s Investment Policy Statement. Coury Firm Asset Management LLC was first founded in Pittsburgh in 1984. Its rebranding to The Coury Firm in 2018 signaled the company’s ambition to become a player in the world outside the Steel City: The company recently opened a second office in Los Angeles. The Coury Firm’s clients include wealthy individuals, corporations, charitable organizations, endowments, foundations and pension plans. Continuous monitoring of portfolio strategies and risks for clients whose cumulative net worth represents more than $2.5 billion. Though the firm doesn’t publicize its minimum account requirement, its minimum annual fee is $30,000, which is an obvious disincentive to clients with modest portfolios. The goal of the Alternative Investments division is to identify attractive, risk-adjusted return outcomes. The Wellness & Risk Management division aims to optimize the benefits packages business clients offer employees and to help these clients ensure necessary compliance with all pertinent regulatory oversight requirements. The Coury Firm believes that the secret to generating long-term returns in a steady fashion is the active management of risk. Portfolios should be constructed in a manner that optimizes the growth of investments but that also minimizes volatility. To this end, Coury employs two strategies in its investment management services: either a client’s assets are allocated between third-party funds and funds affiliated with The Coury Firm, or a client’s assets are allocated entirely with third-party funds. The strategy selected depends upon that client’s financial circumstances and whether or not the client needs access to liquidity. Guyasuta Investment Advisors was initially Scheetz, Smith and Company when the firm was first founded in 1983. In 1994, after a corporate restructuring that left company ownership in the hands of its six investment professionals, the firm was renamed. The firm primarily provides investment management and financial planning services to high-net-worth individuals, though it also works with corporations, charitable foundations, government entities and pension plans. Guyasuta’s financial investment strategies draw heavily upon the principles of fundamental analysis, an asset allocation model that looks upon key ratios as the indicators of a business’s robustness. The company conducts its own analyses of companies and their financial prospects, considering factors like credit ratings and insurance. In order to drive long-term capital appreciation, the company favors an equity philosophy that focuses upon risk management, diversification and the direct ownership of equity securities. Guyasuta looks for favorable risk/reward opportunities in companies across multiple sectors and industries. For clients with fixed incomes, Guyasuta focuses upon preserving capital, reducing risk and generating a steady income stream by customizing portfolios that contain a bespoke mix of municipal, corporate and treasury bonds. Bond portfolios are staggered to stabilize income returns. Each client has the opportunity to work closely with one or more of Guyasuta’s principals. Equity and fixed-income portfolios are reviewed on a regular basis by all portfolio managers, and determinants like economic data and political and international events are factored in with company-specific developments to create market performance analyses. Guyasuta was honored in 2017 as one of the financial planning industry’s top advisory firms by the prestigious global business publication Financial Times. XPYRIA has been in business since 1990 and has more than $663 million in assets under management. The firm maintains a minimum account requirement of $1 million. The bulk of its clients are high-net-worth individuals, charities, pension plans, and corporations. XPYRIA Investment Advisors’ assesses the risk tolerance and investment objectives of individual clients, the firm then seeks out third-party managers to manage its client accounts in accordance with client risk and return profiles. The firm rigorously screens managers so prospective managers are evaluated both qualitatively and quantitatively to increase the chances that the right candidate will be selected. 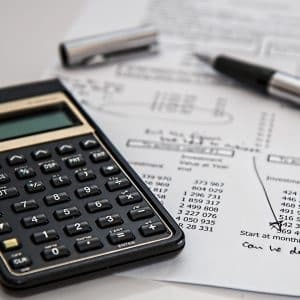 A key component of the firm’s planning strategy is the creation of a written plan that clearly documents elements like debt, cash flow, existing investments and prospective refinancing options. The firm selectively targets individuals who are nearing retirement age or who are beginning to prepare for retirement as well as individuals who may be in the midst of a major life transition. 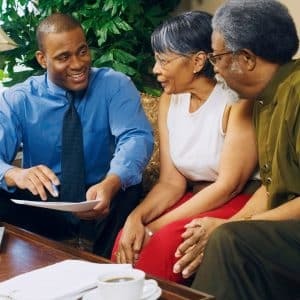 XPYRIA also focuses on guiding families through wealth transition from one generation to the next so that heirs will be prepared to receive and manage wealth. Founded in 1992 by David Hunter, the financial advisor’s mission it to achieve its clients’ financial goals through a combination of investments and brokerage services. The firm has 10 advisors and holds over $600 million in assets under management. It operates on a fee-based structure, and some of its employees may receive commissions off the sale of certain products. However, as a fiduciary, the firm is obligated to put the best interests of its clients ahead of its own. Hunter Associates has on staff three Certified Financial Planners (CFPs), one Certified Public Accountant (CPA), two Chartered Financial Analysts (CFAs), one Accredited Wealth Management Advisor (AWMA) and eight Accredited Investment Fiduciaries (AIFs). Hunter Associates offers financial planning services, and these come in two types. The Strategic Plans type is for those investors who have a certain objective in mind, such as funding for college, planning for retirement or setting up an estate. Focused Advice is for those who have rather complex situations that require financial planning tailored to their unique needs. Hunter Associates is one of only two firms on this list that does not require a minimum investment. 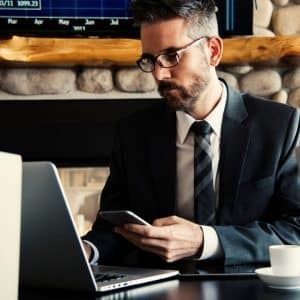 This makes it ideal for individuals who may not have a high net worth, although the business still does serve wealthier individuals. Hunter Associates’ investment philosophy is to take a long-term approach with investment plans. The company takes a two-step approach to investing. It will work with clients to create a personalized investment policy that is focused on achieving a balance between portfolio risk and reward, serving as the framework for the specific investor’s portfolio. The firm will then perform research in order to choose the right securities for the investor. It believes that a combination of asset categories offers the best strategy for investment growth. Though it has just one Certified Financial Planner (CFP), one Chartered Financial Analyst (CFA) and two other advisors on staff, Henry H. Armstrong Associates is a powerhouse financial planning firm with more than $700 million. With offices in Pittsburgh and New York, the firm serves clients in 23 states and two countries. The firm’s asset allocation strategies are influenced by the investment styles of Benjamin Graham and Warren Buffett. Henry H. Armstrong avoids stocks that are overly valued even when the companies issuing them have strong fundamentals. The firm also eschews the traditional wisdom that diversification is the best strategy and tends to concentrate portfolios among a few highly vetted securities. It invests in companies it believes to be strong enough to withstand over the long-term such headwinds as recession, inflation, competition and other factors that cause market volatility. Henry H. Armstrong’s philosophy is that once purchased, stocks should be held for the long term. The firm uses its own formula for evaluating company fundamentals. Of particular concern in the firm’s analysis of strengths and weaknesses is whether or not a company has a defendable business model – what is likely to happen to that franchise over a time span of 5 to 10 years? And will it be susceptible to commodity pricing pressures. The firm favors companies that are in the middle phase of their business cycle where they are vulnerable neither to the hypergrowth that besets early stage businesses nor to the slowdowns that characterize businesses at the end of their life cycles. It caters mostly to high-net-worth individuals, and its minimum required investment is $2 million. Henry H. Armstrong is particularly well-known for its ability to minimize its clients’ tax liability with respect to the assets the firm manages for them. The firm’s average annual turnover is below 10%, and Henry H. Armstrong clients are typically able to defer taxes for five to eight years so that they are able to take advantage of lower capital gains rates. D.B. Root & Company has been rated one of the best financial advisors in Pittsburgh. As part of the company’s holistic approach to wealth management, it offers one of the widest ranges of fiduciary services in the Mid-Atlantic and Great Lakes Region. Whether you’re interested in financial advisory services, tax planning, investment planning, retirement planning, asset management or specialized 401(k) advice, you’ll find it here. The firm’s Flagship Client Services are targeted toward individuals who have between $1 million and $25 million to invest. These services focus on innovative portfolio strategies that combine passive and active investments. Other services include the DBR Advisory Services Suite, which is aimed at moderate-wealth investors with more than $500,000 in assets who are preparing for retirement and offers access to the firm’s proprietary LifePlan 20/20® financial planning process. DBR Next is designed to meet the needs of younger investors who have less than $500,000 in assets but who aspire to achieve high net wealth in the future. D.B. Root also offers an assortment of bespoke corporate advisory solutions such as Fiduciary Plan Solutions, a service that streamlines the process of setting up qualified retirement accounts. D.B. Root’s proprietary asset management strategy is dubbed Strategic AIM. Strategic AIM draws upon macroeconomic factors in allocating assets in client portfolios and uses aggregated indicators such as projected economic growth, inflation risks and monetary policies to select positions. Portfolios are typically a mixture of stocks, bonds, low-cost securities and cash, weighted to reflect individual clients’ risk tolerances. Founded in 1993, Commonwealth Advisory Group offers investment advisory services to its clientele. The firm serves individuals and entrepreneurs as well as those with a high net worth, like professional athletes and executives. This is a fee-only firm. You’ll need a minimum of $50,000 to get started with Commonwealth. The firm has over $350 million in assets under management. Robert Lohman is Commonwealth’s president, CEO and COO. The company has a team of six advisors, including a Chartered Retirement Planning Counselor (CRPC) and one Certified Financial Planner (CFP). At Commonwealth, the advisors use what are called Longevity Blueprints, which are employed to present to clients the paths that will be used to achieve their unique goals. Commonwealth provides business consulting and portfolio management. The firm also offers financial planning services that include tax planning as well as estate and retirement planning. The financial advisor takes a mainly conservative approach to investing. It focuses on a long-term strategy and advises clients to buy and then hold on to their investments to maximize growth. When it comes to portfolio creation, Commonwealth takes several factors into account, such as the risk tolerances, objectives and time horizons of their clients. The company also includes any restrictions that clients may wish to place on their accounts. Commonwealth uses tax-exempt bonds, no-load mutual funds and U.S. government securities in investments. Occasionally, Commonwealth may also use common or preferred stocks. While it does offer tax planning, it advises its clients to use the services of tax professionals. The list we’ve put together consists of financial advisors that maintain primary offices in Pittsburgh, offer financial planning and manage individual accounts. Licensing: Both the licensing and registration of investment advisor representatives in Pittsburgh are handled by the Pennsylvania Securities Commission. Investment advisors must pass a rigorous examination before they can be certified. Credibility: Credentials, awards and investment philosophy highlight credibility. 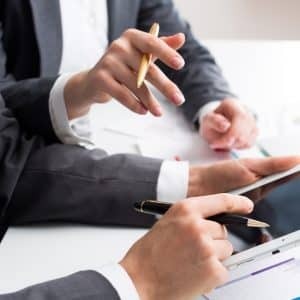 Assets under management (AUM): The market value of the assets a financial company manages on behalf of its clients represents its assets under management.